Christmas is an event celebrated worldwide with full zeal and zest to remember the birthday of Jesus Christ. As Christianity forms most of the population of the world, Christmas is the biggest celebration worldwide after New Year’s Eve. One of the best things to do as a family in December is to get in the car, turn on the Christmas station, stop at Starbucks for some hot chocolate or coffee, and go looking for Christmas lights. It is a popular Christmas activity that gets us in the holiday spirit! How can one even imagine of celebrating Christmas without decorating the home and other places with Christmas trees and Christmas Lights. Decorating Places with Christmas trees and Christmas lights is the most joyful part of Christmas. Some places, the decoration is so breathtaking that people from all over the Inland Empire cities go there to see the incredible Holiday light scenes. Christmas lights in the U. S. are commonly known as twinkle lights, mini lights or Holiday lights. The happiness it will bring on the faces of people, especially children is fascinating! Display of Christmas lights on homes, malls, buildings etc is the most important part of the Christmas celebrations and some people do actually know the art of decorating their places with these outdoor LED, colored, solar and mini electric lights. This creates a sense of competition in different parts of the neighborhoods in each city of who decorates in such a way to attract more and more visitors from all around the city. People travel miles from one city to another just to have a glimpse of these decorations. 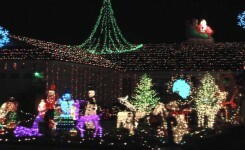 There are many places in the Inland Empire where the Display of lights is just marvelous and are mentioned here. Alta Loma Christmas Lights are the best and most talked about Christmas light displays in the Inland Empire. Most of the streets participate in this area and the neighborhoods try to make it the best looking displays. There are lights, inflatables, cardboard cutouts of carols, large Christmas trees and so many other fun things assuring you that your family will love it! Some of the houses even sell popcorn, churros, hot chocolate, etc. The best way to enjoy these lights is to park your car and walk around Thoroughbred Street. It’s fun when a house goes all out with their decorations and also adds synchronized music. But imagine if all the houses on the street decorate their homes with spectacular lights and synchronized music. In Spur Court you are treated with that experience and more! Imagine listening to holiday music on the radio in the comfort of your car, sipping hot chocolate with the people you love and watching lights dance. It will make your loved ones and children’s eyes glitter with the dancing music! San Antonio Lights will add sparkle to your holiday season with the whole street in Christmas spirit. Every other house is decorated in a new way with different lighting and music. The best way to enjoy it is to take snacks and your favorite juice and stroll past the street. The children will love the beautiful decorations and music. 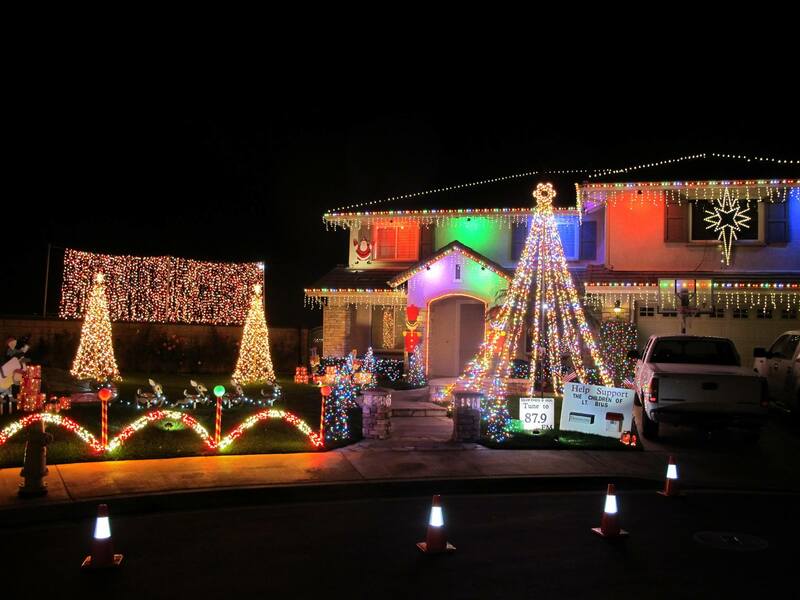 You won’t miss this house when driving through Buttonwood Court in Chino Hills, this over the top home is decorated with Christmas Holiday Lights and nothing left behind. The Nehmans family has been putting on spectacular show since 2011, decorating with thousands of lights and carols giving a sight you wouldn’t want to miss. It’s inspiring and will just make you want to decorate your home and give you new amazing ideas. More importantly, this residence is decorated for a good cause, the Nehmans use this as an opportunity to raise money for “Operation Christmas Lights”. The Operation provides for the children of fallen soldiers. Don’t miss this opportunity to be amazed at their doorsteps and also don’t forget to donate in their donation box! 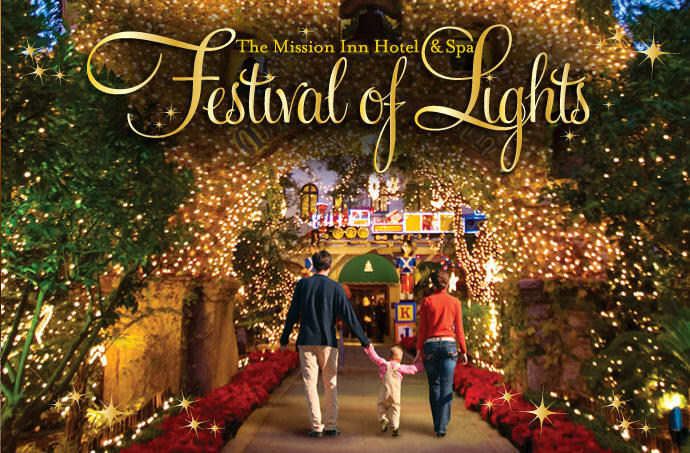 Visit Mission Inn’s Festival of Lights and enjoy more than 4 million dazzling holiday lights that will mesmerize you and your children. There is also a Santa Clause appearance, horse drawn carriage rides, the world’s largest manmade mistletoe and much more! If you want to enjoy Christmas to its fullest, then stay at The Inn during The Festival of Lights from November 27, 2015 through January 6, 2016. An elaborately decorated Christmas tree is also present in the hotel lobby. Enjoy ice-skating rink in the wonders of the lights in downtown Riverside with your family. It’s an experience you wouldn’t want to miss. 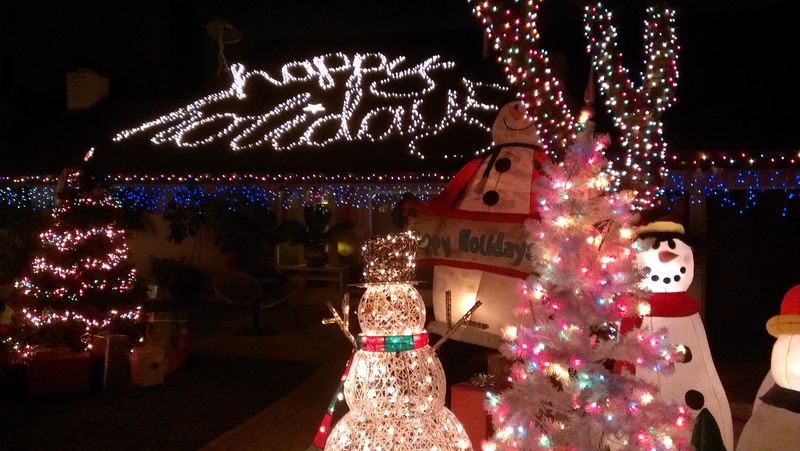 In Corona Candy Cane Lane you will enjoy thousands of lights, inflatable Santa, and music. Your family will love the baked goods sold by the community members. This is one street you shouldn’t miss! All the profit is donated to support the Corona Children’s Center. Which helps families in need and provides them assistance in any way possible. You can also donate your new toys to ABC’s “Spark of Love” toy drive, and buy some hot chocolate while you are there. 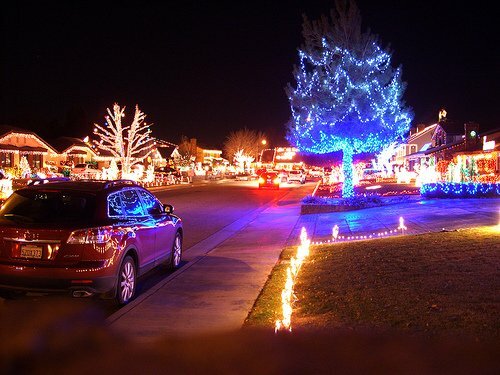 So visit Corona Candy Cane Lane and get ready to be amazed by spectacular displays of lights and music. Moreover, don’t forget to bring some new toys for charity. So if you are looking for places to enjoy the breathing scenery of Christmas lights decorations this Christmas, then you must go for any of the above mentioned places and don’t forget to tell us about your experience.